Based in the South Pacific Islands during WWII, Lt. 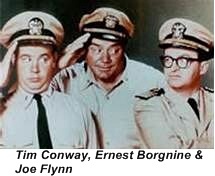 Commander Quinton McHale US.Navy Reserve with his zany crew patrol the Pacific on PT Boat 73. Each member of this extensive cast have their own quirks but all mean well. 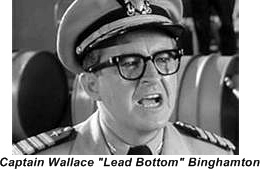 McHale’s boss is Base Commander Captain Wallace B. Binghamton “Old Leadbottom” who sees McHale and his men as a constant problem, often suspicious of the oddball situations in which the men of PT- 73 find themselves. 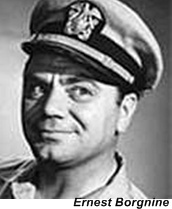 Trying to catch McHale doing something to court martial him for and he and his men trying to avoid being caught was the focus for show. Interspersed with the shenanigans the crew had to occasionally fight the Japanese, which they did quite well. Very often their heroics caught the attention of an Admiral who would then intercede with Old Leadbottom and excuse them from the infraction for which they were being hounded. The writers soon developed individual persona’s for the rather extensive cast thus giving the show some more depth. They even had a Japanese POW / defector who became their houseboy and co-conspirator in many of their schemes. Hiding the fact that they had a Japanese soldier in the crew added to the list of hilarious situations that they found themselves embroiled in. 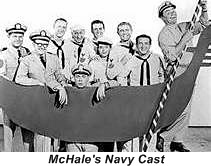 Produced by Edward J. Montagne who also had produced The Phil Silvers Show, McHale’s Navy certainly shared the comic overtones of his previous hit it also shared a couple of the cast members. Somebody up there hates me! What in the name of Nimitz! What is it McHale, what do you want wha’, wha’, WHAT? Was a small, armed motorboat used by the US Navy in World War II. The typical P.T. Boat was constructed of plywood, measured 80 feet in length, carried a crew of 12-17 men, traveled up to 43 knots (49 mph), displaced 33 tons and had three gas engines which totalled 4,500 horsepower. 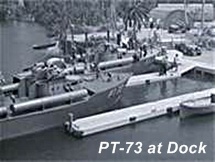 The boats used in the show were however 72-foot Vosper MTBs (Motor Torpedo Boat). They were built for the Russians but were never used in actual combat.